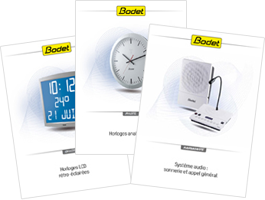 Are you interested in selling our Time distribution systems and becoming a Bodet Time distributor? Please, fill in the information below and our export team will contact you shortly. 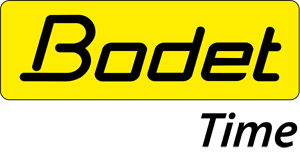 A reliable and durable company founded in 1868. Complementary business units: Campanaire, Sport, Software, Osys. An international company: 5 European subsidiaries, 2 offices in Dubai and Kuala Lumpur, a network of more than 300 distributors in 110 countries. Turnover of €71 million in 2015, 7.7% revenue growth, 690 employees. ISO 9001 & ISO 14001 certifications. 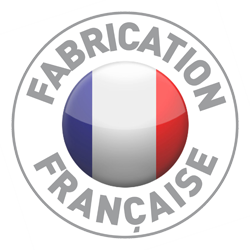 Made in France: All our products are manufactured in our factory in France. Distributor Support: Multilingual (English, French, German, Spanish), pre-sale and after-sales consulting, troubleshooting. Personnalised support: A dedicated sales representative. Marketing tools: Brochures, datasheets, pictures, newsletters, schemes, training. Qualified leads for our distributors.